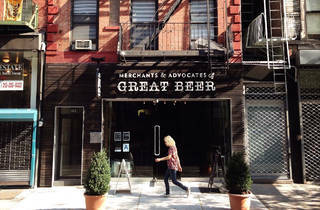 Anheuser-Busch sales executive Ted Kenny gave up his corporate gig to follow a beer-nerd dream—running his own craft-brew shop on the Lower East Side. Fill your growler from one of 20 draft lines (pouring quaffs from Greenport Harbor Brewing, Goose Island and others), or choose from more than 700 bottles (such as Founders and Westmalle). 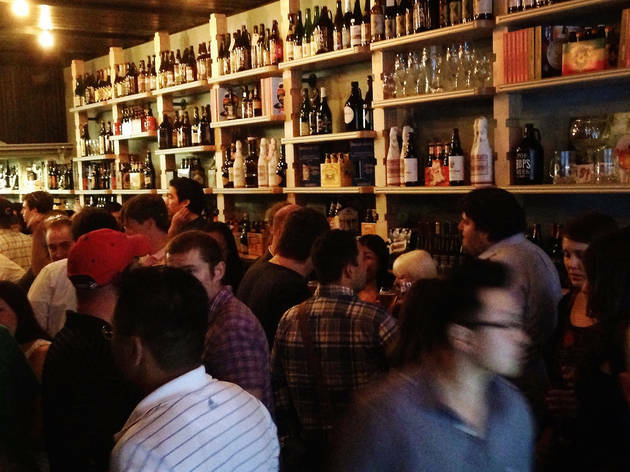 Aspiring beer connoisseurs can pop in on classes and brewmaster tastings. The space also features a casual standing bar, where drinkers can sip on the shop's selections and nibble on cheeses and charcuterie. Cool little beer shop where you can buy beers to bring home and also drink! I really don't know that much about beer but this place looks like Mecca if you do. 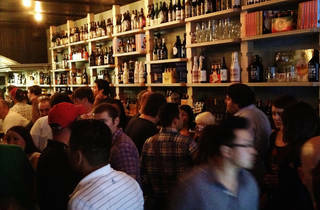 A beer nerd's haven. So as a self-proclaimed beer nerd, you'll find me here often. Second is the staff. They know their stuff and they know it well. 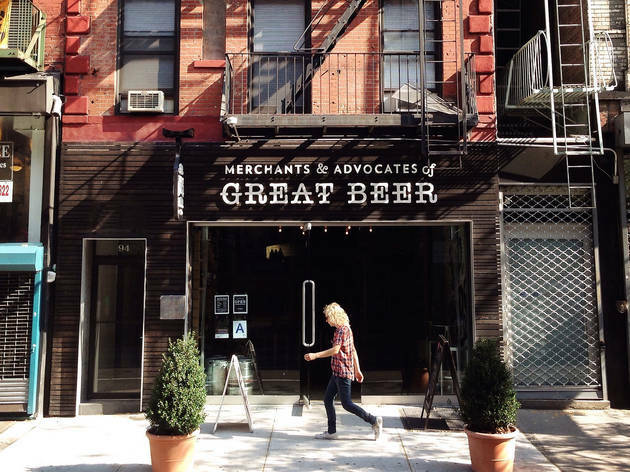 Ask them about anything they have in stock and they'll tell you everything you need to know before making that all-too-important decision on which brew to try next. Lastly is the vibe. Oh what a chill spot this is. The aforementioned bartenders are super friendly and make you feel like you just pulled up a stool in your buddy's basement bar (if your buddy had 700 different kinds of beer in his fridge). Even the first time I came to Top Hops they made me feel like a regular. It's also ideal for so many different scenarios- I've been on dates here, celebrated birthdays, you name it.